My colleague ( Credited: Manry Xu, Practice Nurse / Healthcare Professional ) and I have been given an opportunity to participate in a branding contest published by Ontario Public Service Employees Union ( OPSEU ) - The Mental Health Division, for their purpose to further service its main goals, and future development. Our logo design was chosen winner and was officially adopted as the main logo for the organization as of April, 2012, and an award was presented to my colleague and I. My colleague ( Credited: Manry Xu, Practice Nurse / Healthcare Professional ) and I have been given an opportunity to participate in a branding contest published by Ontario Public Service Employees Union ( OPSEU ) - The Mental Health Division, for their purpose to further service its main goals, and future development. The Mental Health Division was founded on November 4, 2001to provide a strong, cohesive voice within the Union to promote mental healthissues. They represent 6,000 members in public hospitals that were formerlyProvincial Psychiatric Hospitals, the one remaining Provincial PsychiatricHospital and community mental health agencies. Creating a logo that's simple yet distinctive. It should depict the "Person-centred philosophy" their mental health care system, A philosophy of care focused on the individual's needsso he/she can reach his/her potential in the community. 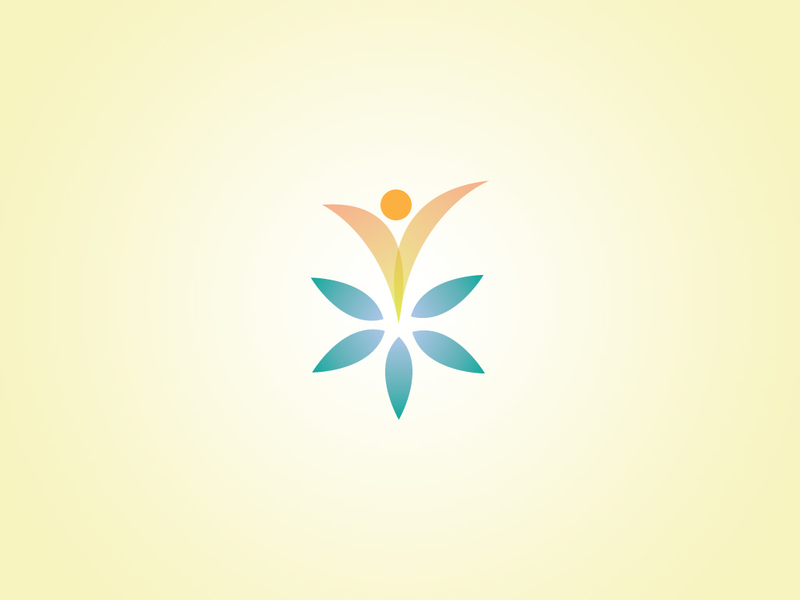 The logo should also be symbolic of the future of Ontario's Mental Health System. - To understand and incorporate the key elementsof mental well-ness. - To allow the logo to be simple yet unique enoughfor future branching development. 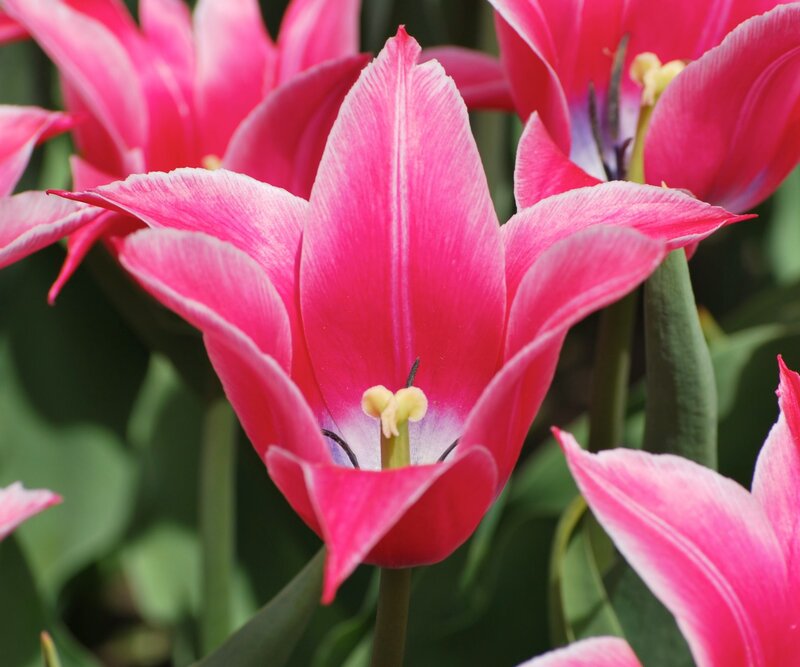 Tulip is a very delicate plant thatrequires a careful cultivation. Yet once it has been cared for, its ability togrow and blossom is incredible. It also has a strong ability to spread the seedand reproduce. For centuries, it is the plant that represents abundance andwealth by the early Europeans. By combining the simple symbol of a tulip to agrowth and blossom person, this logo indicates having the main five life tasksfor the well-being of mental health – essence / spirituality, work and leisure,friendship, love and self-direction, as the five leafs, would help the person,the tulip top, to blossom and be abundant. 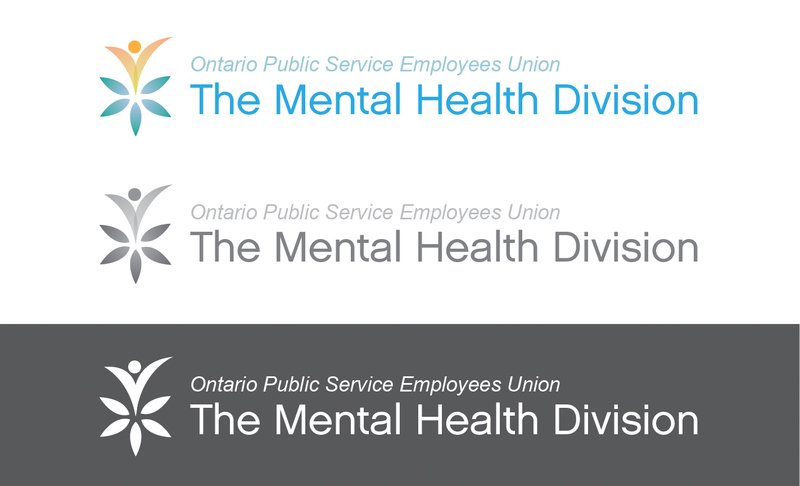 Official OPSEU - The Mental Health Division brand. Official brand in three modes: Full-coloured, Grayscale, and Saturated Dark. 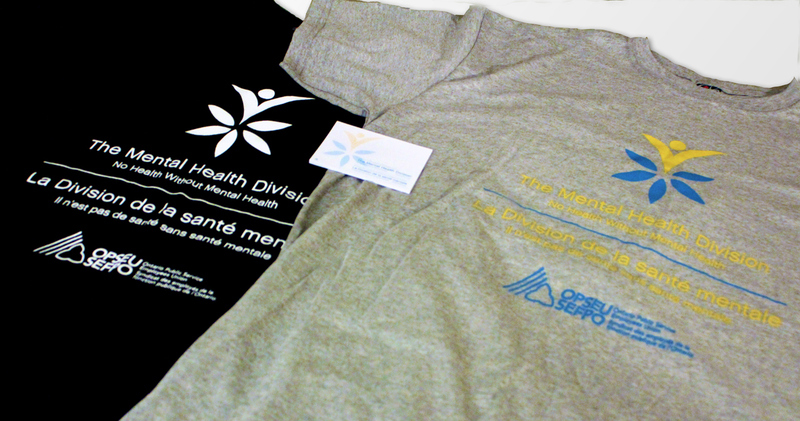 Merchandises such as T-shirts and Post-its were adopted and made with the new brand to promote and capture recognitions.